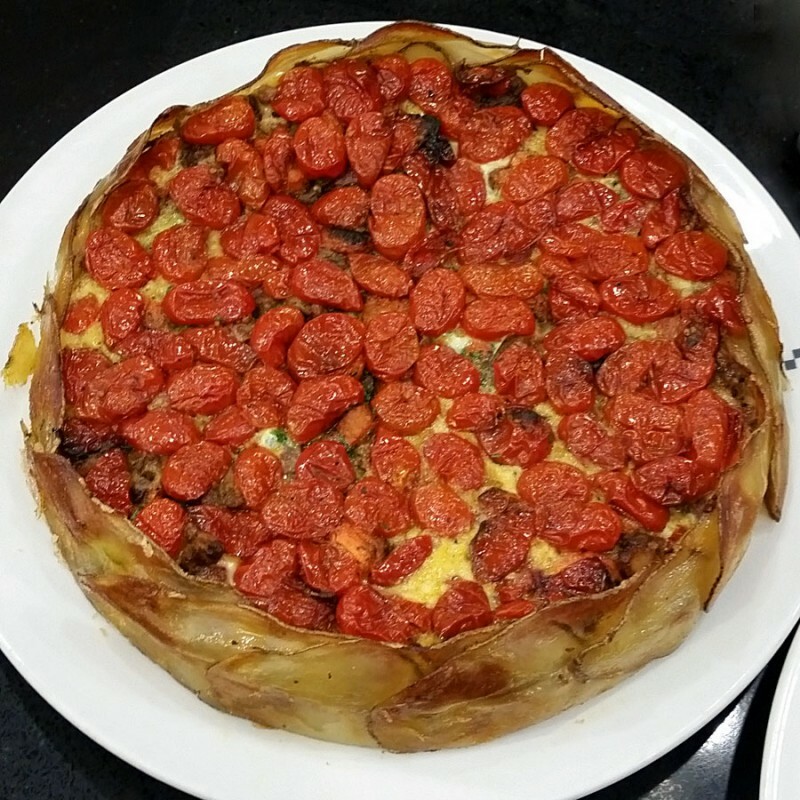 The recipe for the gluten-free Bacon, Goat Brie, Leek & Pear Pie in a Roesti Crust I made for last year’s event is below. The third annual Pie Party Potluck LIVE! was held on May Day 2014. 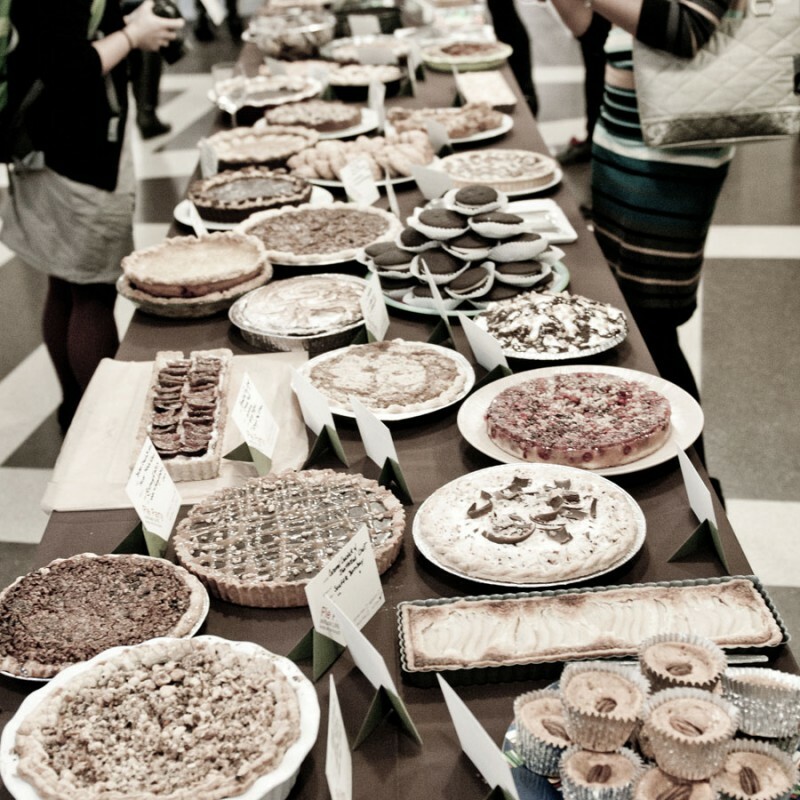 Food bloggers, food writers and food professionals gathered at GE Monogram Design Center, each with a pie or two to share in celebration of their mutual affection for PIES! Pie Party is simple concept: make pie, bring pie, eat pie, take pie home. 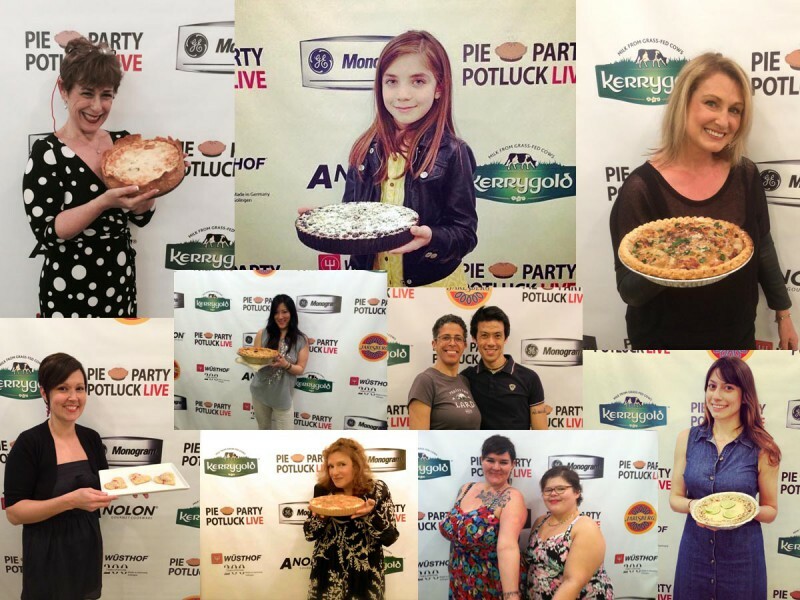 This year it was like the Pie Oscars because we had a step and repeat banner; guests posed on the “bread” carpet with their creation before adding it to the spread. We had over 75 divine pies and much Pie Love was shared and enjoyed by all.